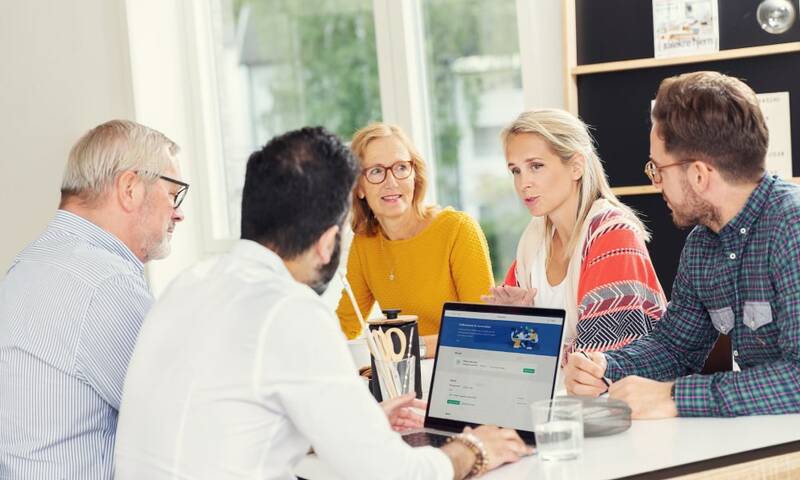 As the largest cooperative building association in the Nordics, OBOS wants to make it simpler for homeowners to get involved in the management of their housing cooperatives. We’re helping them build a new digital management tool called Styrerommet. It takes the effort out of meetings, routines and administrative tasks, leaving more time for property development and upgrades. Planning and carrying out board meetings is essential for the homeowners that are involved in managing a housing cooperative, and usually requires hours of preparation, organization and paperwork. We’ve now made it simple for them to send out invites, process suggestions, make decisions, and keep everyone else informed about what’s happening in these meetings. Each year, the housing cooperatives organize a general assembly where all the homeowners get to participate in making important decisions. However, only 10 % of them actually choose to do so, because it requires physically meeting up on a specific day and location to attend an assembly that will usually go on for hours. To increase participation and engagement, we’ve developed a digital platform for carrying out general assemblies. It makes it simple for homeowners to come up with suggestions, vote over decisions and stay updated from the comfort of their own devices. Making sure that health and safety standards are met throughout the cooperative property is an important, but tedious task. We’ve completely redesigned the way this was traditionally done, by making it less about rigid rules and regulations, and more about providing accessible and relevant advice. More than 1000 housing cooperatives have already started using our new management tool at Styrerommet.no. By the time we’ve completed the rollout, it will be used by 4600 cooperatives, servicing more than 20 000 board members, and 500 000 residents. Our job, however, has only just started, as the backlog of ideas and functions we want to add into the tool seems to be never-ending. Everything we do is about encouraging homeowners to get involved in the development of their own housing cooperative, because that’s how OBOS will continue to stay relevant in the future. Want to hear more about the future of housing?